temporarily off the market - but stay tuned ... custom south alcona brick & stone gem! unique 4.5 year old, upgraded, open concept home! over 2800 sq.ft. of stylish, loved filled living! hi-end hardwood floors throughout main floor! 9 foot ceilings! 20' vaulted great room with western sunset views! 4 bedrooms! 5-pc ensuite with double shower! main floor family room w/gas fireplace! $thousand$$ spent on custom upgrades! 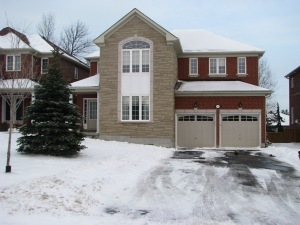 one of a kind showpiece mere minutes to lake simcoe! sold!! - special down home, east coast country feel charmer! -- ideally located on the east end of bristol ... just around the corner is greenlane ... and only 3 minutes east to hwy 404 and 2 minutes west to costco, walmart, and all the super stores! unique & rare model with sunken "discussion" living rm & main floor family room with w.e.t.t. certified briack fireplace! private & spacious meet 'n greet foyer with powder room! too late - sold !! amazing solid brick, income producing home - now sold!! here it is!! fantastic upgraded 3 bdrm semi-bung w/lower 2 bdrm income unit! perfect r.o.i. for 1st timer's, investors, seniors & joint venture families! separate entries, sep laundries; sep b.b.q'ing spots, sep parking & sep garden sheds! "country roads, take me home, to the place, i belong ..." opps _ now sold - sorry ... where the deer & the horses play! being in the country ... immersed in nature ... surrounded by open fields with hilltop views of the shores of lake simcoe is naturally inspiring, calming and oozes with a remarkable reenergizing quality. and this charming, hi-end 1750sq.ft. custom brick bungalow will do all that and ... it will "take your breath away"! truly a pristine executive retreat with over 3500 sq.ft. of luxury 'rural-feel' living! sold way over asking!! 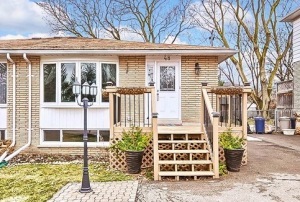 solid, updated all brick bungalow near haskett park. updated with huge pride of ownership!! amazing in-town country bungalow on a beautiful, 60' x 121' fully fenced, pie-lot "sugar maple treed" 65' across the rear and 125' deep on the west side! 3 + 2 bedrooms; 2 bathrooms; finished basement with large windows & 3-piece bath. basement apartment potential. gleaming hardwood floors through main floor! sold over asking ... largest model in the subdivision !! ... and shows superb!! 3 bedrooms up plus a 2-bedroom lower income suite !! awesome 2 unit family & investment property. 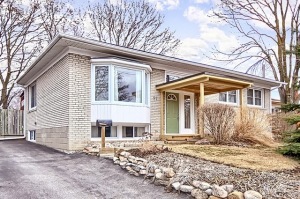 largest model of all neighbourhood semi-bungalows & ... on one of the biggest lots 139' deep!! many upgrades. rewired with new hydro panel with e.s.a. cert. minimum left to do for retrofit status! new bathrooms! newer hardwood floors! this all brick bungalow with double garage, almost finished basement apartment with separate entry on a large lot!! front porch muskoka room main entry! near tom taylor & nokiidaa walking trails! gorgeous updated walk-out kitchen with custom designed arborite & melamine kitchen complete with custom breakfast bar with tons of counter space & updated cabinets with pots n pan drawers! new efficient gas fireplace literally heats the entire home! updated bathrooms! custom tumbled glass main bath! fully finished open concept basement rec room! sold in alcona - beautiful 3 bedroom brick home overlooking private, green space park! only 3 km to lake simcoe beaches. kitchen walk-out to large fully fenced, private back yard with hot tub!! fully insulated & gas heated garage "man-cave" with pool table! well priced and move-in ready! august closing available! 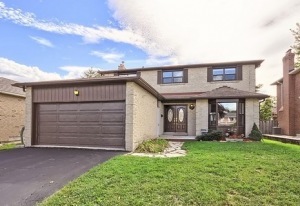 all brick 2 story home in a fantastic family friendly neighbourhood.